Jay Bakker, son of Jim Bakker and Tammy Faye Messner, has a new ministry of his own in Minneapolis. 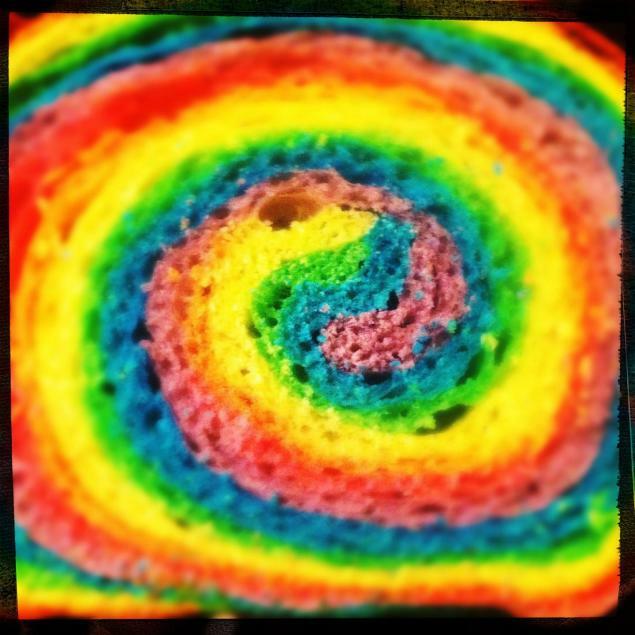 Bakker recently celebrated gay marriage by partaking of the Lord’s Supper with rainbow-colored communion bread. Bakker is typical of the post-modern, edgy, un-Biblical and heretical fringe of evangelicalism. In his company would be men like Rob Bell. I have really tried to understand why people take such un-Biblical positions on issues which are so clear-cut. I know the reasons, I just don’t understand them! The reason Bakker is evidently enjoying success in his new “bar/church” venture is because he is not confronting his “congregation” with their sin. The Gospel is clear on this matter – repent and believe (Mk 1:14-15). God is holy, and He commands His people to act holy as well (Lev 19:2; 1 Pet 1:16). There are certain standards expected of Christians. True salvation entails repentance from sin. It is so sad to see such heresy enjoying such apparent success. I doubt a Bible preaching man could garner a fraction of the attention Bakker is getting, or even a fraction of the congregation. I will be starting an intermittent series very soon, where I review and comment on a book which speaks to this mindset, specifically a low view of Scripture. The book is older (1991), but Bakker is nothing more than a product of this un-Biblical way of thinking. It breaks my heart that this heresy is considered Christianity.